Given life in 2013 are the Brazilian black metal duo known as Vermis Mortem. They've yet to amass much attention, as Evil Never Dies is their first demo and the band are still struggling to make a name for themselves. Little else is known about them, other than Marcelo the Evil One command main vocals and the bass guitar, and his malevolent counterpart Thanatos rocks the guitar and backing vocals. The demo begins with a creepy introduction that is laden with weird synths, abstract female vocals and demonic growling. A flurry of gunfire, henious growls, missiles and bombs ravage the background, all which create the image of a desolate, chemical ridden battlefield of terror. Beyond this initial track, "Bestial Warlust" is another atmospheric track that further pushes the war theme with marching drums, sirens and more missiles, all which cascade into "Genocide". Though simple sound effects are not where the war influence stops, it's merely where it all begins. "I Hate This World" has an immense bass guitar and drum presence, the beats and notes detonating like landmines throughout the song. The raw analog, static filled quality of the material brings out the essence of the thunderous bass guitar, making it a prominent feature of the material that booms in the trenches between the guitar and drums. Providing mostly blast beats with some side adventures into other brisk patterns, the drums reinforce the ideal of machine guns and shotguns with their deep, continuous blasting. All the while, the guitar is creating memorable power chord hooks that the audience will find themselves head bobbing and humming to, even hours after the content ends. Unlike much of the raw, war ridden black metal, this content isn't entirely speed oriented; it does take time to slow down and allow the chilling atmosphere to flow like gun smoke. The only real issue with the production of Evil Never Dies is that the drums are mixed a too loud, and often overpower the rest of the elements. When it comes to the tracks, "Genocide" is the only real throw away, due to its repetition and excessive recitation of the same chorus. Out of the five songs, two of them are completely ambient and a good portion during the beginning of "On the Dark Planes of Existence" is dedicated to atmosphere as well. However, given these facts, it's incredible that Vermis Mortem are able to craft such a substantial black metal demo with only about two and a half songs of substantial material. In fact, "On the Dark Planes of Existence" is the most brutish, demanding track of the lot; the vocals are demonic and greasy, while the guitar shows off a dominating set of riffs and the bass is more bombastic than ever. 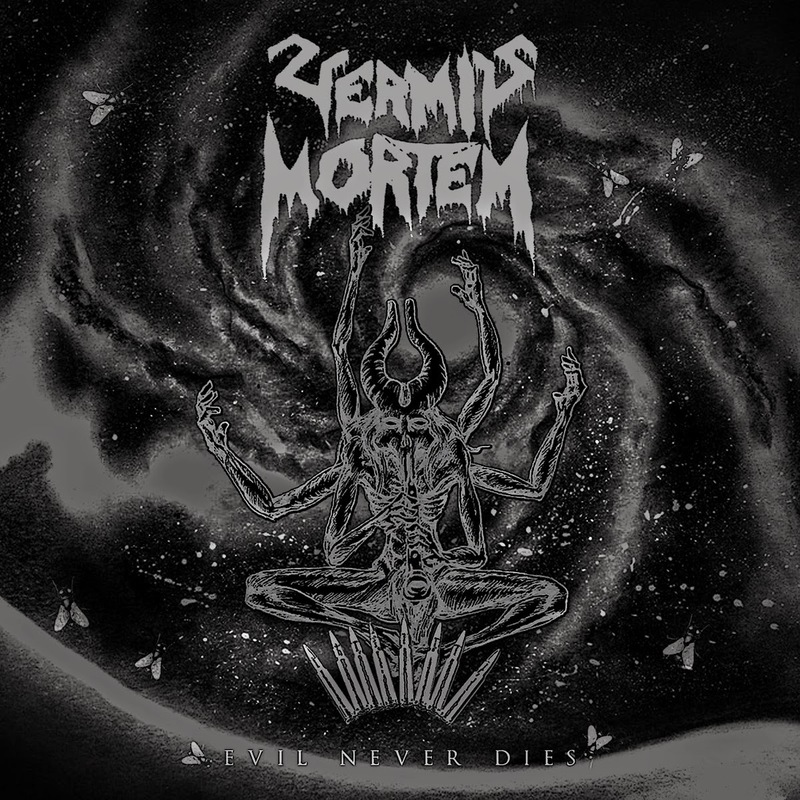 One of the greatest demos heard all year, Vermis Mortem make an incredible first impression with Evil Never Dies. The content within is every war black metal enthusiasts dream, given that they enjoy a high amount of atmosphere incorporated into the music. "I Hate This World", "On the Dark Planes of Existence" and, to a lesser degree, "Genocide" are aggressive rollercoasters of turmoil, whose memories linger for a long time after the rides end. The introductory track and "Bestial Warlust" provide synthesized atmosphere, creating a battlefield of untold horrors. This isn't one to miss, get your hands on this demo by any means necessary!